Kiara Advani said: "It's the first time I am doing something in the period space"
Actress Kiara Advani, who has a special appearance in Abhishek Varman's multi-starrer film Kalank, said in an interview to news agency IANS that she is "very excited" to be part of the film. "I am very excited for my special appearance in Kalank since it's a huge film and it's the first time I am doing something in the period space. I have finished shooting for that," IANS quoted the actress as saying. Kanlak went on floors in April this year and features Ali Bhatt, Varun Dhawan, Sonakshi Sinha, Sanjay Dutt, Madhuri Dixit, Sonakshi Sinha and Aditya Roy Kapur. Nothing much has been revealed about the plot or characters these actors are playing in the film. Going by Varun Dhawan's Instagram post it appears that his role in the film is pretty intense. 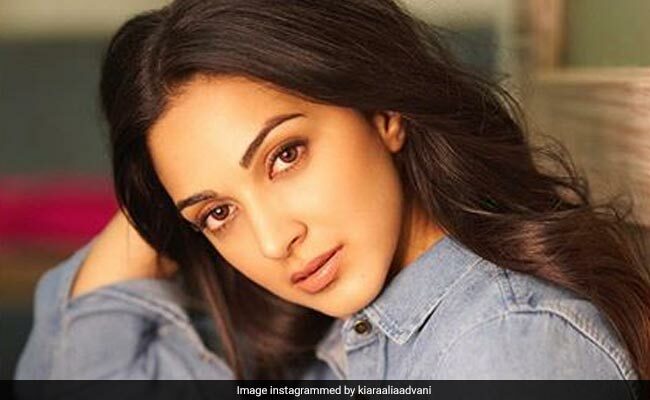 Kiara Advani is simultaneously shooting for Kabir Singh and Good News. Kabir Singh is the Hindi remake of Telugu film Arjun Reddy, starring Shahid Kapoor while Good News also featuring Kareena Kapoor, Akshay Kumar and Diljit Dosanjh, revolves around a Punjabi married couple trying to have a baby. "I have just begun shooting for both Kabir Singh and Good News simultaneously and it's going very well. We are excited to continue the shoot and make a really good movie for the audience so, it has been a busy month," Kiara said. Speaking about Kabir Singh Kiara said: "We have just wrapped up the December schedule of the film and we will again start shooting for the film in the first week of January. So, after Christmas and New Year, we will get back to shoot in Delhi." Kiara was last seen in Netflix anthology Lust Stories. The 26-year-old actress appeared in the segment directed by Karan Johar, which also featured Vicky Kaushal and Neha Dhupia.